This is a block with the best of both sweet, sweet worlds. 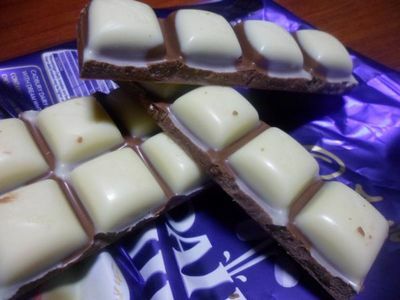 Break this one open to reveal a double layer of milk chocolate and white chocolate, all shaped into a neat and tidy Cadbury block. For the sweet tooths out there, Top Deck is bound to be a hit! I mean, it's Dream and Milk Chocolate mixed into one. But for those who prefer a darker side to chocolate, steer clear, because Top Deck is all about the sweet chocolate side of life. 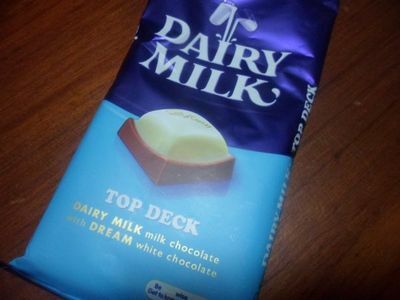 Top Deck is where I turn when I can't decide between Dream and a Milk Chocolate block!